The day after dropping my vehicle off to Northtown I received, what I assumed was a misplaced call, stating that my vehicle was ready. 'Are you sure?' because I felt 'That's Impossible', because, Every major collision center I visited, Gabes, Auto Collision & Glass, Carruba, etc., gave it, on average, a 10-day turnaround! I was reluctant to venture out to an 'hey, you missed a spot', or, to a job that needed to be re-done. Words cannot express my astonishment at what could only be described as 'A Phenomenal Accomplishment!, My vehicle looks New Again!' Northtown must've used Magic because what they achieved doesn't happen in the real world. I pity the fool that takes their vehicle to any place other than Northtown for Collision. Personable People, Unbelievable Service and, yes, Magic. 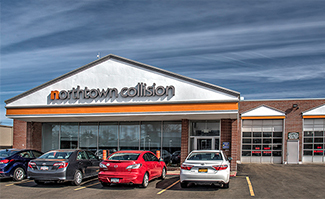 We are so glad you had such an excellent experience with our Collision Centre! We like to hear that we got you back in your car faster than you anticipated. Thank you for taking the time to share in a review. I dropped my vehicle off Monday after work, got right into a rental right at the facility. The staff was so helpful. My vehicle was returned to me Wednesday at noon and it was terrific! I'm so glad we turned things around for you so quickly! Thank you for taking the time to share your experience.